As medical marijuana usage increases, a growing number of medical professionals are discussing the conditions for which it may provide relief to patients. As a result, many people are now viewing this as a new and expanding business opportunity. However, before becoming involved in a medical marijuana business, it is critical to understand the laws regarding how to safely and legally dispose of cannabis waste. In this article, we review the issues that growers, distributors, and medical marijuana retailers should know about with respect to handling and properly disposing of cannabis-based products. First, it is important to know that the chemicals used to extract oils from cannabis plants typically require hazardous waste removal. In addition to the dangers of the chemicals themselves, after the desired oils have been extracted, the cannabis plants/flowers themselves are highly toxic, containing substances including butane, ethanol, and acetone that must be treated as hazardous waste. Manufacturing edible products result in some percentage that fails to meet quality standards, and these “rejects” can contain risky THC levels, pesticides, and other hazards. Other materials that have been in contact with cannabis during the manufacturing process, such as gloves and beakers, may also be contaminated with dangerous chemicals. Tetrahydrocannabinol (THC) -- the chemical responsible for most of marijuana’s “high” and some of its medicinal effects -- is a federally controlled substance and/or a pharmaceutical. Rules for its disposal are similar to rules for disposing of pharmaceutical waste. In addition to toxicity and environmental concerns, THC is a DEA-controlled substance in the same category as heroin and LSD. Since waste generated from processing marijuana plants is likely to contain some THC, even if medical marijuana is legal in your state, treating cannabis waste as regular garbage could subject your facility to search and seizure by federal authorities. Although this legal threat may be unlikely, it would be a costly distraction that is clearly worth avoiding, especially since federal policies regarding marijuana use are less “friendly” than the laws in states where it has been legalized. Regulations affecting medical marijuana cultivation and/or processing are specific to the states that have legalized it. Most state regulations regarding safe disposal focus on destroying cannabis and cannabis products to make them unusable, such as by grinding them up and combining them with other substances such that the resulting waste product is less than 50% cannabis by volume. Some states such as Massachusetts require recycling or composting organic waste (the stems, leaves, seeds, and flowers of the plants). These rules are separate from federal regulations and are state specific. 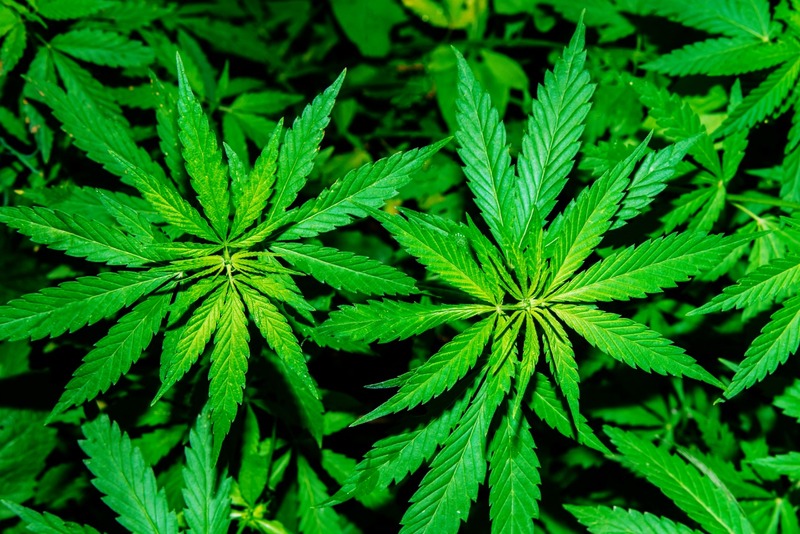 In Massachusetts, marijuana waste disposal must comply with all applicable state and federal requirements, including but not limited to those covering the discharge of pollutants into surface water or groundwater. In many states, including MA, there are few precedents to look to in determining state-specific best practices -- that’s why it’s a good idea to partner with an expert. What does this all mean for medical marijuana disposal? Do you think you could you tell the difference between an unprocessed marijuana plant and one that has been treated to extract the desired products? To most people who are not involved in making cannabis products, the by-products of the manufacturing process, including “failed edibles” that are rejected based on quality standards and cannot be sold, often look exactly like products that are safe to consume. Needless to say, that’s dangerous. Choosing the “best” method for disposal is still a bit of a gray area for cannabis cultivators. 1. Composting: Many states require facilities to compost their plant waste AFTER testing it to ensure there is no THC present. Composting sounds like a good idea, but many businesses find it is not efficient to manage on their own as it requires a lot of space and many months for plant waste to turn into compost. As an alternative, businesses can outsource this to organic recyclers. Again, state laws vary on the requirements. In Massachusetts, composting is mandatory for any facility that generates more than 2,000 lbs of organic waste per month -- that may sound like a lot, but it is less than 100 lbs per weekday. In all cases, plant waste must be shredded and tested for THC before it is handed over to a recycler. 2. Treating as regular waste: While not recommended, some businesses take this approach. It may seem inexpensive compared to the others, but can be the most costly if the facility incurs fines and faces legal action from violating hazardous waste disposal regulations. Equally important (if not more so), THC can be hazardous to the environment and poisonous to animals. According to EPA anti-flushing laws, THC should not be landfilled as it can leach into the groundwater and pose a threat to public health. 3. Partnering with professional waste management: As noted above, cannabis waste is classified as organic waste, pharmaceutical waste, and a DEA controlled substance. Therefore, its subject to both state and federal regulations. Chemicals used to extract plant oils must follow hazardous waste guidelines for removal and disposal. Our advice to anyone in the cannabis business (growers, retailers, and distributors), in Massachusetts, New England or elsewhere, is to work with a partner that can ensure the waste created by your business is treated properly. The marijuana industry is new and politically polarizing. As such, many who are opposed to it will leverage environmental law and federal regulations to hinder organizations that are expanding into this young industry. As a company founded and headquartered in Massachusetts, with over 15 years of environmental, health and safety experience and waste management expertise, United understands the importance and complexity of managing the wide range of regulations in the medical waste arena. United has a proven record of proactively adapting to changing regulatory requirements in rapidly evolving industries. Questions for a medical waste expert? Contact us at any time.